We all have a favorite web browser. In the case of over 71% of Internet users, Chrome is, and although it allows us to browse the web, the Chrome extensions allow us to do much more! 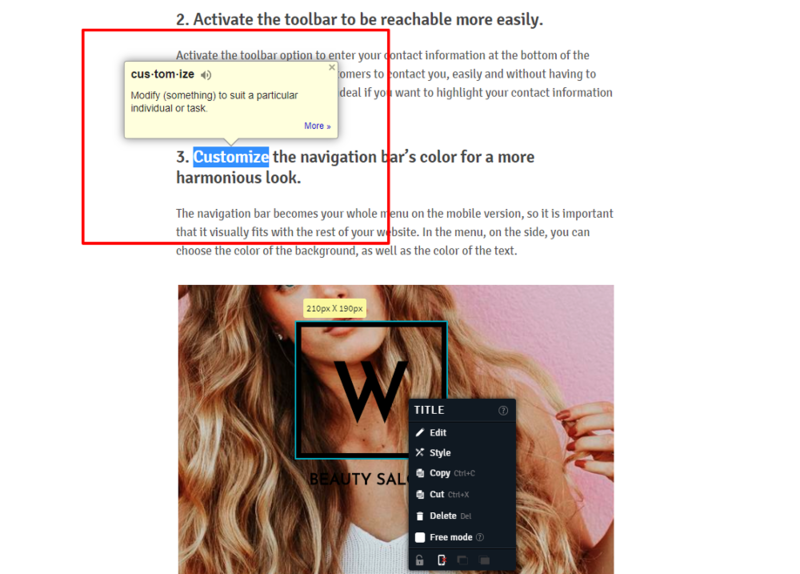 Helping you to stay focus, taking screenshots, consulting a dictionary, among others, are examples of things you can do with free Chrome extensions that will help you save time and efforts. Concentrate on what matters: your work! Do you want real examples of Chrome extensions? 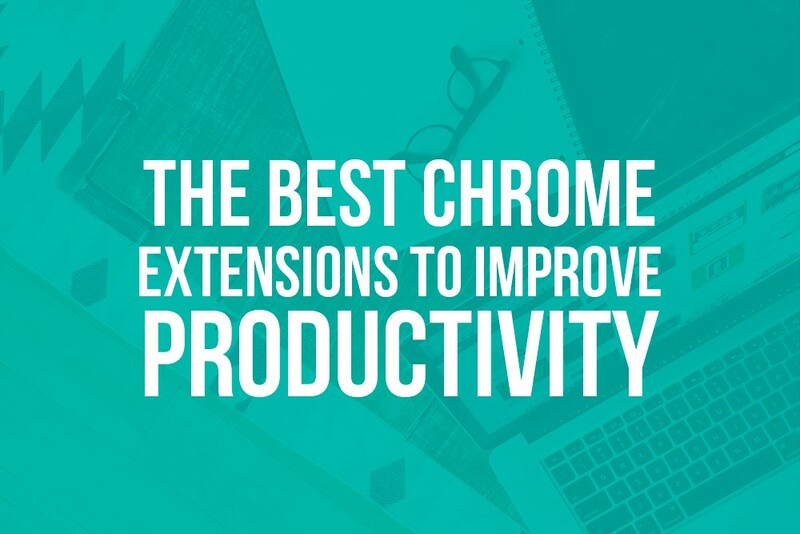 Today, we put together a top 10 list of the best Google Chrome extensions that will help you improve your productivity. Start.me is the ultimate personal portal grouped in one place. Customize your main tab by adding all of your favorites and frequently visited web pages. You can also add a local news feed, live weather, notebook and to-do list. Be more productive than ever and save time with start.me! This extension replaces your homepage with an inspirational picture that changes daily, as well as a personalized message. Set a goal, add local weather and a list of frequently visited links for a more effective start to your day! If your days are full of meetings, you probably spend a lot of time programming them. Luckily for you, Assistant.to simplifies your life by offering a programming module that allows you to view your Google calendar directly in your inbox to select the available schedules that are a perfect fit! If you spend your day surfing the web, you probably accumulate tabs and of course, the speed of your browser suffers the consequences! OneTab allows you to reduce all your tabs into a list. When you need to access these tabs again, you have the option to restore them individually or all at once. This extension also allows you to save up to 95% of your browser's memory, which will also improve the browsing speed! Procrastination is part of our lives, and these days more than ever. The Stay Focusd extension allows you to limit the access of time spent on certain websites. When this time is up, you will not be able to visit these websites until the end of the day so you can fully concentrate on your work! This dictionary will be very useful to easily know the definition of words you receive in a mail, for example. The extension provides immediate access to the definition of a word that you highlight. This will allow you to communicate more professionally with your interlocutors. Web users often face the challenge of sharing their access to an account, on social networks, website creation tools and much more. With LastPass, you only have to remember the '' master ''password and the extension will automatically remember all of your login information and will automatically fill in the necessary fields when you arrive on a web page. New passwords are always generated, which makes it even safer! If you have to take screenshots frequently, this is the ideal extension for you. It offers you several different styles of captures, then you can annotate, add comments, scramble info, download and share with one click. The extension is also completely free! This extension is ideal for those who write blogs, social media publications or have their own website. It helps diagnose broken links. Any link that does not work will be highlighted in red so you can delete or edit it. You are a web designer? Or just passionate about colors? With the color picker, you can determine precise colors for your work and know their code by dragging and dropping your picker on the desired color! What Chrome extensions do you use?